Some people are always on a hunt for a new DIY project. We’ve got an easy one for you, one that’s forever going to change the way you do your laundry – DIY laundry detergent. And if you’re into detoxing your lifestyle, you can go beyond just eating green. The products you use in your home day-to-day can also be free of toxic chemicals. 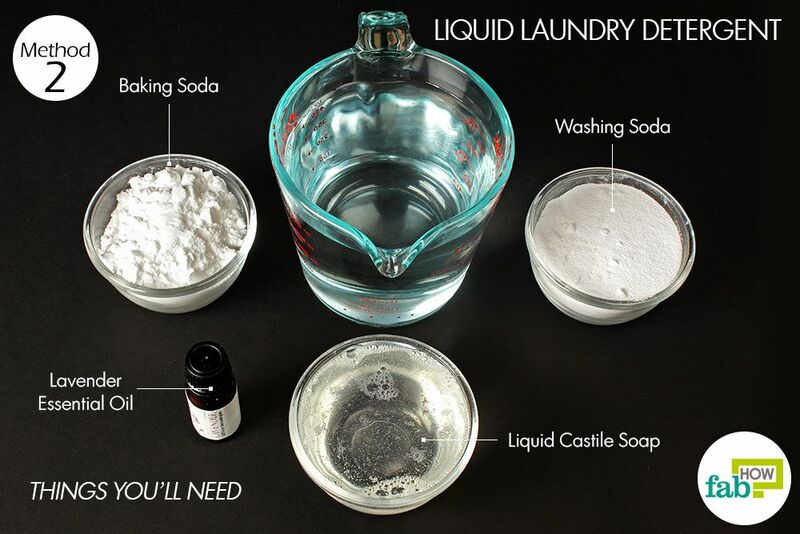 Making your own laundry detergent is a great way rid your clothes of the chemicals commonly used in commercial laundry detergents. 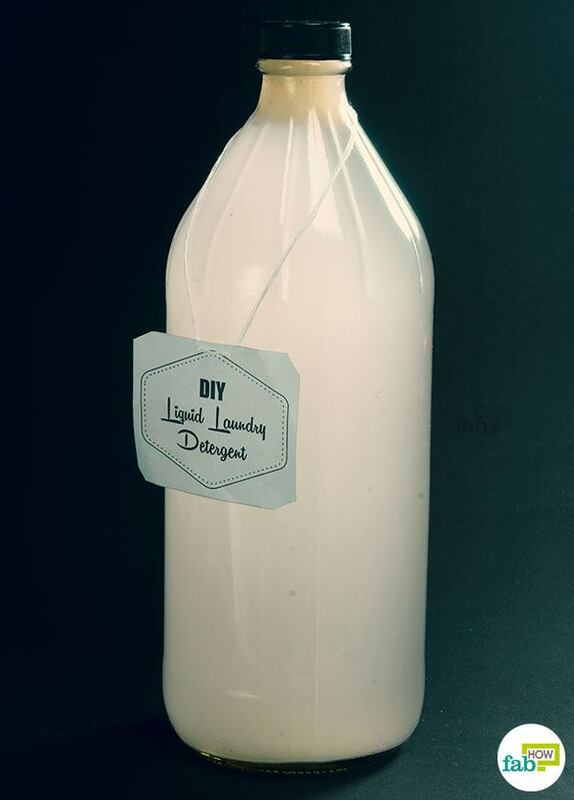 Pair your homemade laundry detergent with homemade fabric softener and you’re all set. 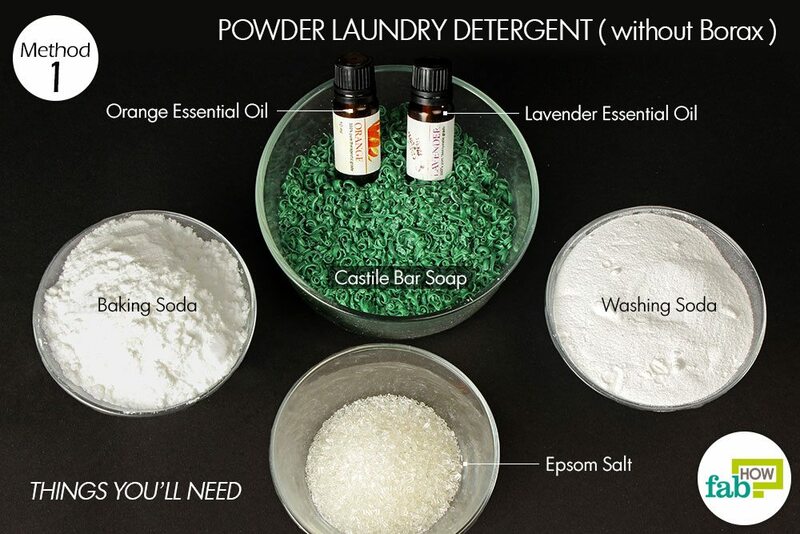 DIY laundry detergent is also cost effective in the long run. 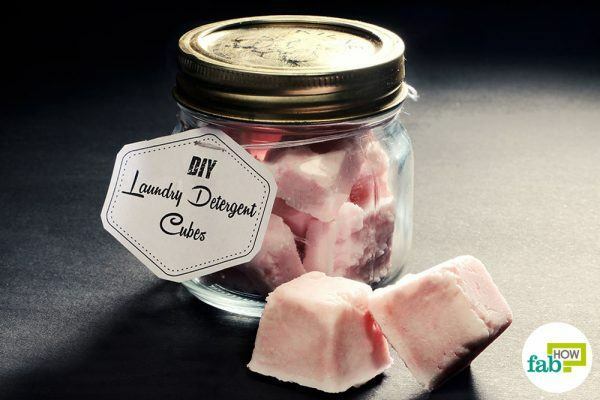 And if you like the idea of saving money, you can also try your hand at DIY dishwasher detergent. 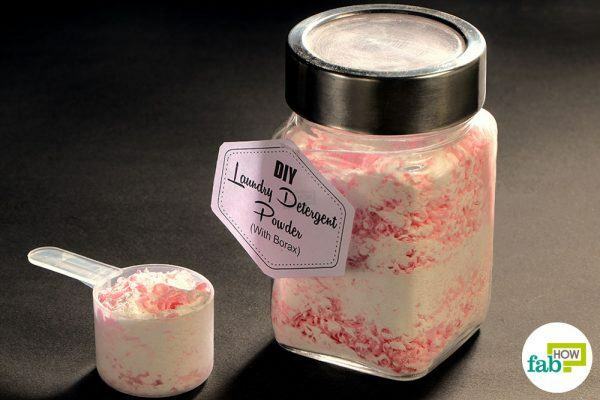 Here are three simple recipes to make DIY laundry detergent powder, liquid and cubes at home. If you wish to go basic, then give this simple laundry detergent powder a try. Just gather the ingredients, mix well, store and use as needed. 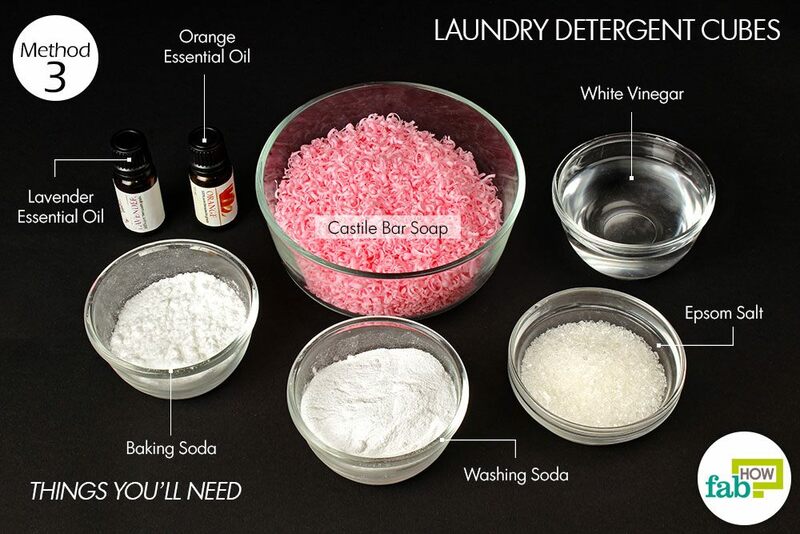 Other than borax, we’ve used Castile bar soap, baking soda, washing soda, Epsom salt and essential oils. For many, the jury is still out on the toxicity of borax, and we won’t argue. 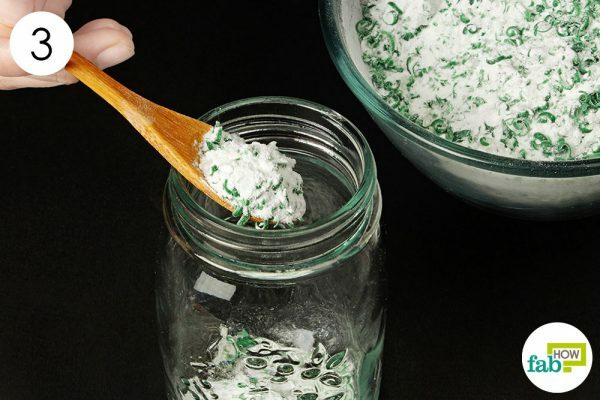 We’ll just provide you with two recipes – one that contains borax and a borax-free option. However, most of the concerns about borax seem to be about excess exposure to the eyes and skin as well as when it is ingested in large quantities. Doing the same with table salt or baking soda is also bound to land you in trouble. 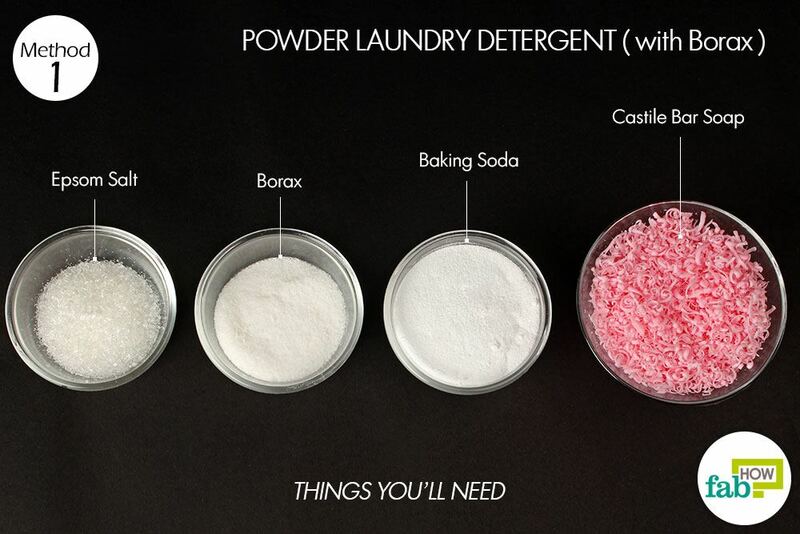 Borax simply boosts the power of your detergent, making it more effective at cleaning, removing stains, deodorizing and freshening up the laundry. Castile soap is a gentle multi-purpose soap made from vegetable oils which forms the base of this recipe. It will clean and soften your laundry. Baking soda acts as stain remover, degreaser and deodorizer. Washing soda does the same, but better. It also brightens up your clothes and linens – colors and whites. 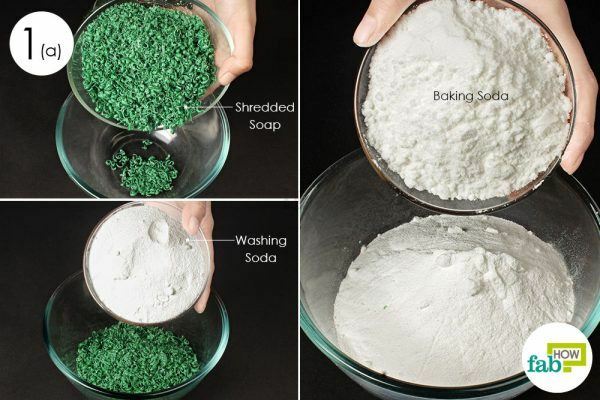 In the borax recipe, you won’t need the washing soda. 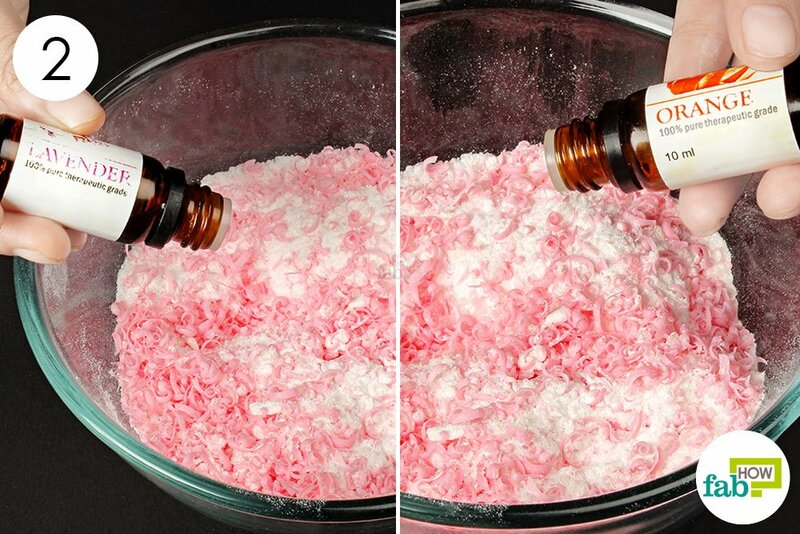 Epsom salt makes the laundry colorfast and prevents the colors from bleeding. It also softens hard water. We’re also using a blend of lavender and orange essential oils in the borax-free recipe, but you can go with your choice of essential oils. Castile bar soap, finely shredded (all-purpose cleaning agent) – 15 oz. Put 15 oz. of finely shredded Castile bar soap in a mixing bowl. 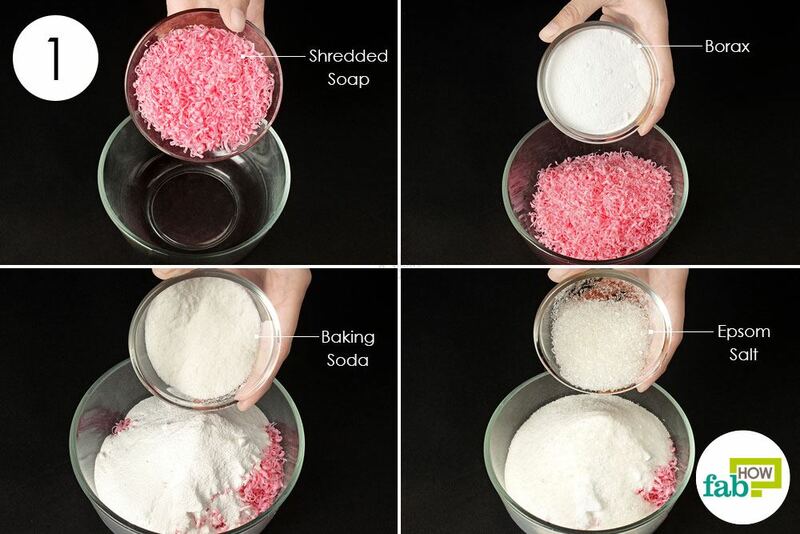 The soap shavings should equal about 1 cup. Add ¼ cup of borax to it. Add in ¼ cup of Epsom salt. Mix the ingredients really well with a wooden spoon. 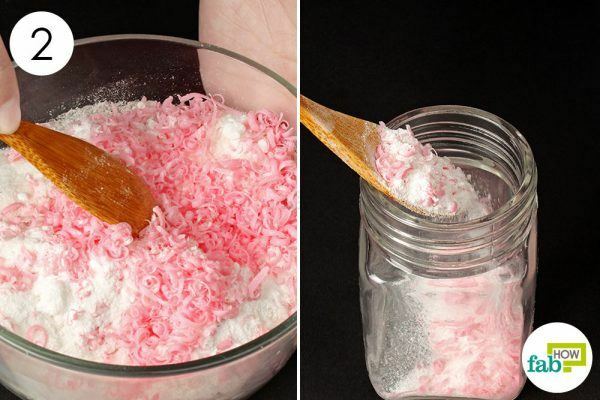 Spoon the detergent mix into an airtight jar and use as needed. For a regular load of laundry, use 1 tablespoon of the powder laundry detergent for front loaders and 2 tablespoons for top loaders. Put 1½ cups of finely shredded Castile bar soap in a mixing bowl. 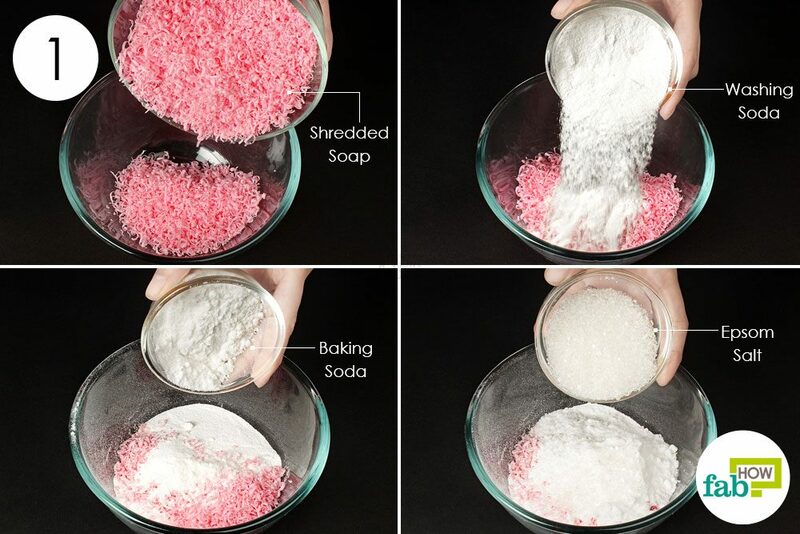 Add 1 cup each of washing soda and baking soda to it. Add in ½ cup of Epsom salt. Mix the ingredients really well with a wooden spoon or spatula. Put 10 to 12 drops of lavender essential oil into the mix. Add 5 or 6 drops of orange essential oil to it. Give the mixture another stir. Fill up an airtight jar with your borax-free laundry detergent powder for convenient use. 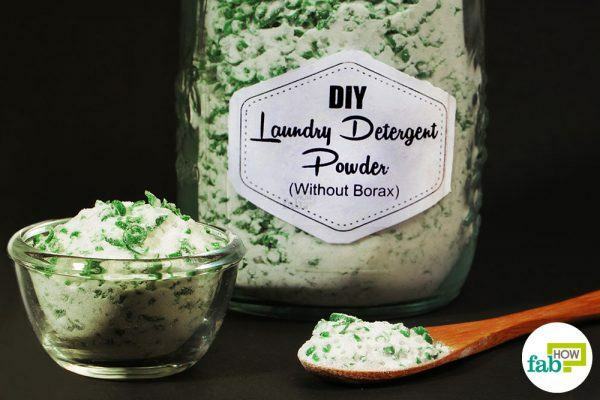 For a regular load of laundry, use 1 tablespoon of the borax-free powder laundry detergent for front loaders and 2 tablespoons for top loaders. If you prefer liquid laundry soap, you can make this easy DIY detergent with liquid Castile soap, baking soda and washing soda. Made from vegetable oils, Castile soap is a great vegan alternative to soaps made from animal fats. Baking soda removes stains and deodorizes the laundry, while washing soda is great for brightening up the whites as well as colors. You can also use homemade washing soda for this recipe. Lavender essential oil is added for fragrance and its sanitizing effect. Put ½ cup of washing soda in a container. The capacity of the container should be more than 2 gallons. Pour a few cups of hot water into the container. 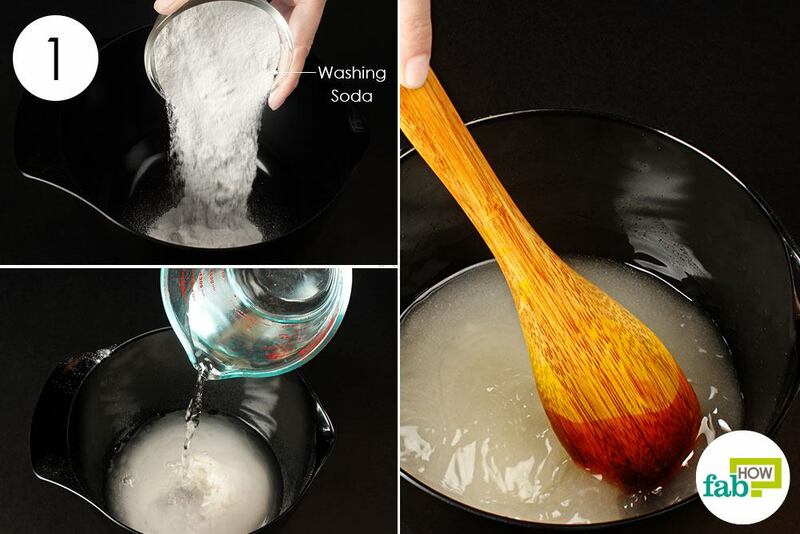 Stir until the washing soda dissolves into the hot water. 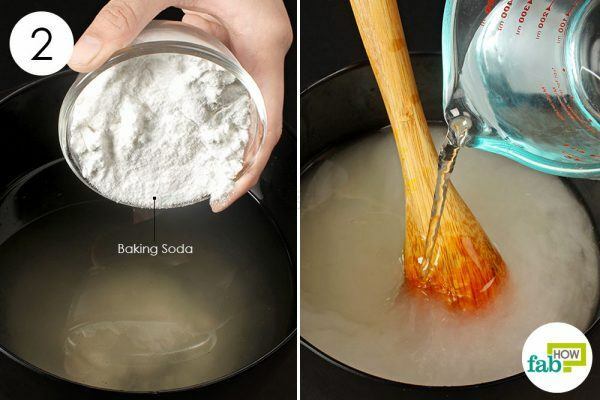 Add ½ cup of baking soda to the container. Stir to dissolve the baking soda. Top off the container with the rest of the 2 gallons of hot water, while stirring to mix the ingredients completely. 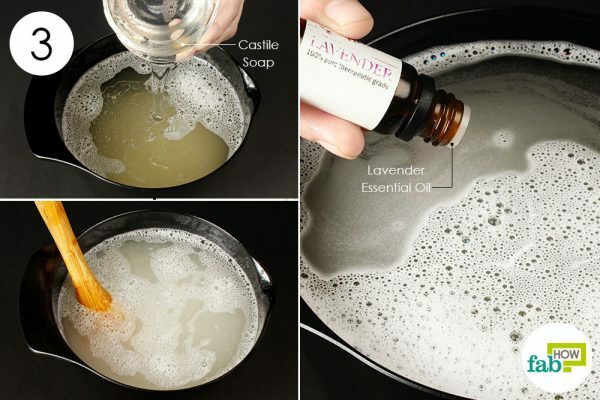 Pour ¾ cup of liquid Castile soap into the container. Add about 30 drops of lavender essential oil or any essential oil of your choice. 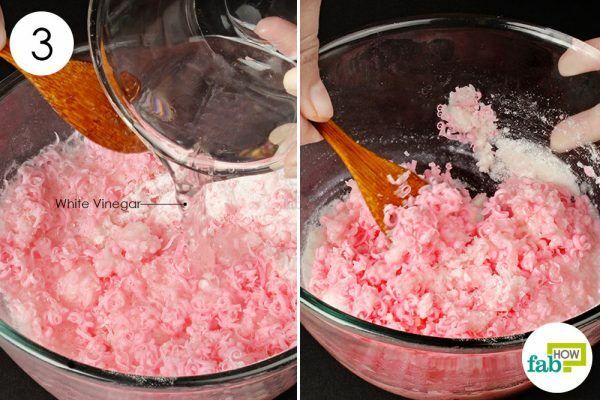 Stir the ingredients a couple of times to dissolve the soap completely. 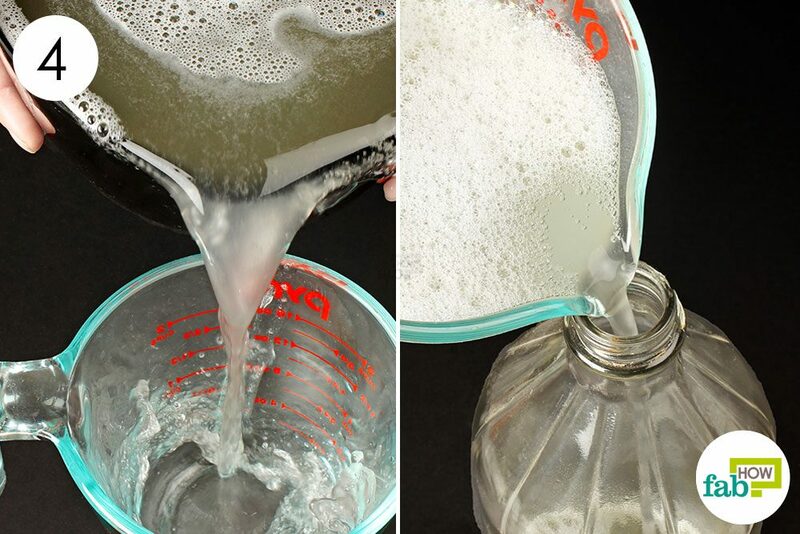 Pour your homemade liquid laundry detergent into convenient containers for storage. Simple plastic soda bottles will do just fine. If your mixing container is difficult to pour from, like ours was, you can use a jug or any container with a spout for easy pouring. When it’s time to do the laundry, just measure and pour the liquid detergent into the washer and wash as usual. Use about 1/3 cup of the detergent for a medium load of dirty laundry. 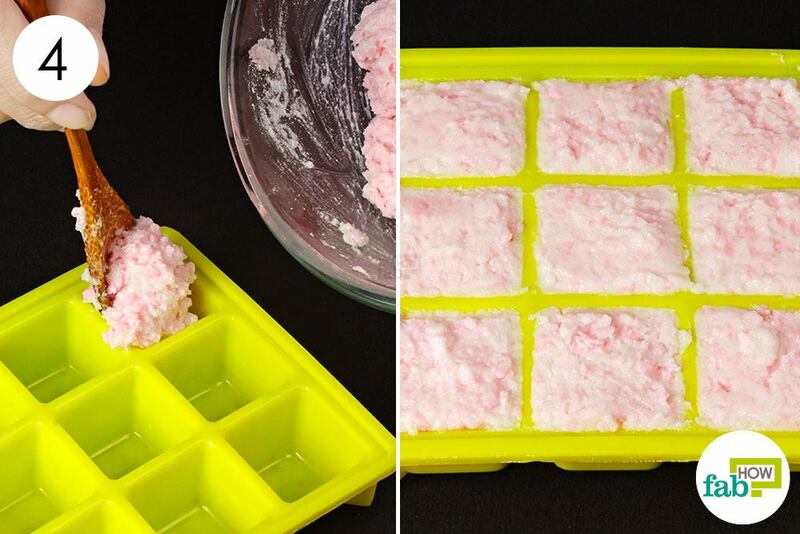 Laundry detergent cubes are one of the many hacks of using ice cube trays. All you need to do is make a detergent paste, pack it in ice cube trays and set it to dry. By making DIY laundry detergent tabs of a certain volume, you can easily decide the quantity of the detergent you put in each wash.
Our detergent mix contains Castile bar soap, baking soda, washing soda, Epsom salt and white vinegar. Castile soap is an all-natural, chemical and toxin-free soap that does a terrific cleaning job in a variety of scenarios. Epsom salt works to remove stains, soften hard water and brightens the colors of your clothing and linens. White vinegar also works as a stain remover and deodorizer. Essential oils are not just for fragrance, but will also sanitize the laundry. You can use the essential oils of your choice. Castile bar soap, finely shredded (all-purpose cleaning agent) – 14 oz. Put 14 oz. of finely shredded Castile bar soap into a mixing bowl. Add ½ cup of washing soda to it. Add ¼ cup of baking soda. Stir to mix the dry ingredients thoroughly. Put 5 or 6 drops of lavender essential oil into the mixing bowl. 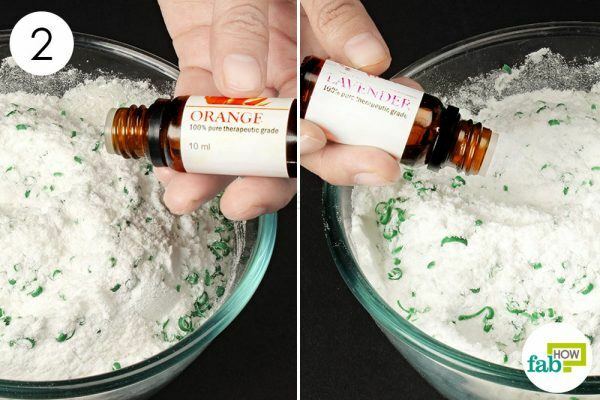 Add 2 or 3 drops of orange essential oil to it. Slowly pour ¼ cup of white vinegar into the bowl, while stirring the mixture with a wooden spoon. Mix the ingredients into a lump-free paste. If the mixture feels too tight and thick to work with, you may add more vinegar. Spoon the detergent paste into the sections of an ice cube tray. Tightly pack in the detergent by pressing it down with the back of the spoon. Set the detergent cubes out to dry in the sun for about 24 hours. If the cubes are not completely dry, they’ll break apart when you take them out of the tray. Pop the cubes out of the tray when the detergent has dried up nice and hard. Store the detergent cubes in an airtight container and use as needed. The size of your detergent cubes will decide how many detergent cubes per washing load you’ll need. If your detergent tabs are about 1 tablespoon in volume, use 1 tab for a regular load of laundry in front load washing machine. Use 2 tabs if using top load machine. While making DIY laundry detergent, all the mixing should be done with a wooden spoon or spatula. A metal spoon can react with the soda and vinegar. In a pinch, a spoon made with sturdy plastic would work fine. 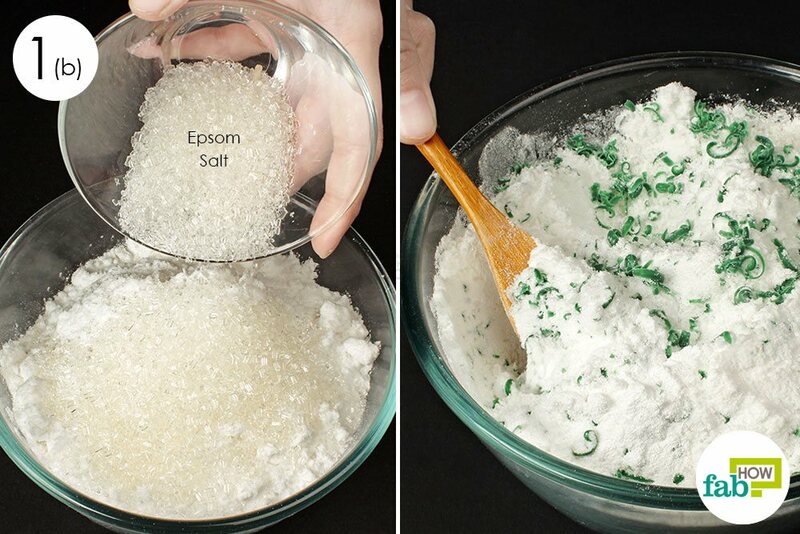 You can also use coarse sea salt instead of Epsom salt in the recipes. 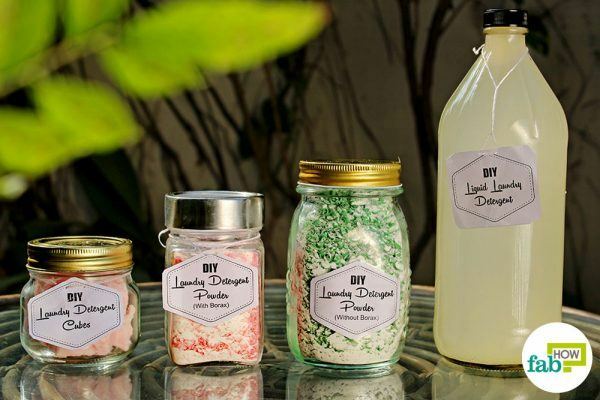 Lemon essential oil would also make a good addition to DIY laundry detergents. It is a natural degreaser and stain remover. What kind of castile bar soap are you using? I love the colors, but can only find white ones (like Dr. Bronner’s). You can buy the colored castile soap bars online from any of the e-commerce sites.